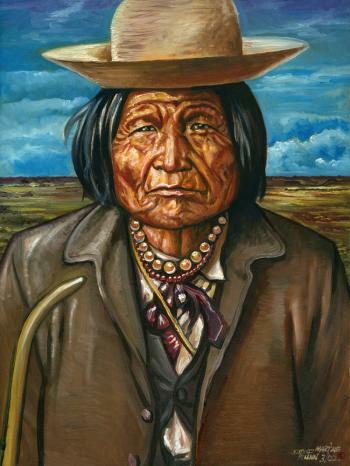 Relative of Native American artist, David Martine. Nana was a chief of the Warm Springs Chiricahua Apache people of western New Mexico. He rose to prominance after the death of Chief Victorio in 1880. He was one of the oldest Apache prisoners-of-war after the final surrender of Geronimo in 1886.